Hand-made purple felt flower magnet. 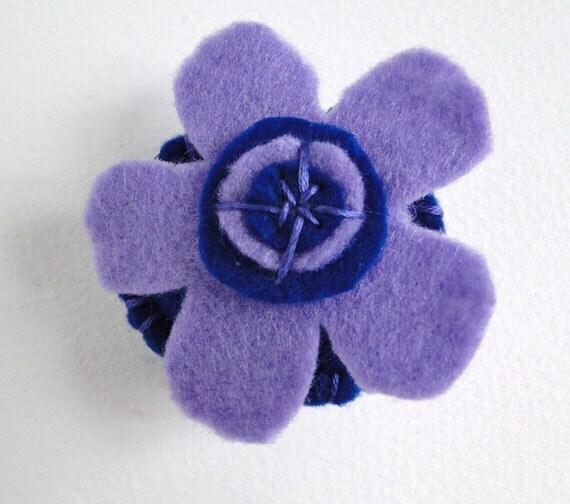 Purple felt flower with navy blue detailing on a navy blue padded felt disc with contrasting stitching. Contains a 20mm magnet, perfect for the fridge! Folksy :: Buy "SALE!!! Scarflet - Purple WAS 12.50. NOW"
Folksy :: Buy "Felt Hairclips"